Home > Articles > On Shakespeare And Glass Pipe Smoking. 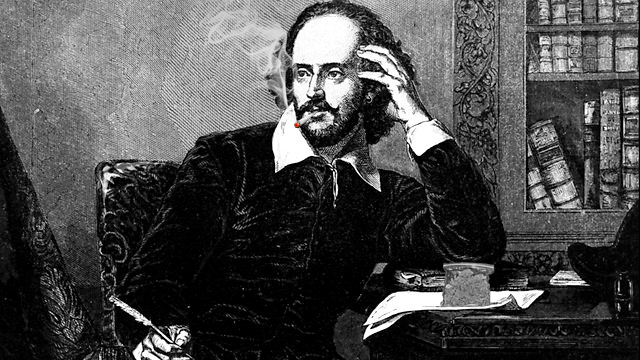 Memorable Marijuana and Honored Herb: Was Shakespeare a Historical Hash Toker? We have all heard the hate talking: “marijuana kills brain cells and makes people lazy”. But did you know that notable brilliant artists (Van Gogh), brave leaders from the pages of world history (Queen Victoria and Elizabeth I), and the ancient Egyptians who built an empire smoked ganja? These great minds toked on pipes similar to the ones we use today available from the best smoking pipes store that sells glass, wood, and stone smoking pipes so that the history of weed can continue through the ages. Let’s step into our “weed time machine” and discover the past of masterful minds that mingled with marijuana—behold William Shakespeare! Did you know Shakespeare smoked pot? University researchers uncovered clay and stone smoking pipes buried in the garden of the bard’s Stafford-Upon-Avon home with cannabis residue and oils found indicating regular marijuana usage. And when reading his plays, his love for pot becomes apparent. In ‘Romeo and Juliet’, William Shakespeare wrote: “Love is a smoke raised with the fume of sighs; Being purged, a fire sparkling in lovers’ eyes; Being vexed, a sea nourished with loving tears. What is it else? A madness most discreet, A choking gall, and a preserving sweet”. If 16th century English is not your forte, you may need a scholarly translation. What the playwright says here is that love is like smoke that is made from the sighs emitted by lovers. And when that smoke clears the love is left as the fire burning in the lover’s eyes. Here, Shakespeare sounds like a “Renaissance version of Bob Marley” by saying that if you agitate that love you are left overwhelmed with an ocean made from lover’s tears. He then concludes by asking, what else is love? It is a brilliant form of madness, it can suffocate you and drown you if you don’t know how to inhale it, let it become one with your core being, and one with the love you share for your partner. Much like learning how to feel universal passion by lighting up a glass smoking pipe perfect for a smooth, marijuana experience of love and tranquility, you must learn how to appeal to your woman’s inner fire and let the sighs derive from a soul mutual to the passion burning in both sets of eyes. It seems that smoking pipes packed with pot clearly enlightened Shakespeare’s perception of complex layered love. For example, Romeo knew that love eternally ebbs from the brinks of comprehension and cannot be rationally resolved or conveyed in any tangible mean. Instead the battlegrounds of passionate abstraction vindicates through multi-layered convolutions of coiled labyrinths ready to snag and tear at the garments of those who stray too close to the trappings of assumed intention. Marijuana is a hybrid of this mingled with the ability to be enlightened in the shrine of love and deeper meaning. Simply take a few hits, close your eyes, clear your mind, and you may not draft up the next ‘Hamlet’ or ‘Othello’, but much like Shakespeare you will be putting yourself in a position to embrace deeper meaning and view your lover, your life, and the fibers of your own mortality in a state that is encroaching upon the doors of nirvana. Pot Poetry Shakespeare’s love affair with marijuana may even hint at an influence seen in his poetry, namely in sonnet 34 which describes his tortured love for a young man and that recaptures some of the same metaphors revealed in ‘Romeo and Juliet’: Why didst thou promise such a beauteous day, And make me travel forth without my cloak, To let base clouds o’ertake me in my way, Hiding thy bravery in their rotten smoke? ‘Tis not enough that through the cloud thou break, To dry the rain on my storm-beaten face, For no man well of such a salve can speak, That heals the wound, and cures not the disgrace: Nor can thy shame give physic to my grief; Though thou repent, yet I have still the loss: The offender’s sorrow lends but weak relief To him that bears the strong offence’s cross. Ah! but those tears are pearl which thy love sheds, And they are rich and ransom all ill deeds. Here, we are presented with a sonnet from a sequence of five poems altogether in which the speaker suffers from the wound of an unspecified sin committed by his lover, or the one he loves unresolved. For starters, one may argue that the “rotten smoke” is the mirrored image of the smooth, pure marijuana smoke that lends all clarity to its users who come to the smoking circle with an open heart and mind. Let us examine this deeper. Contrary to popular belief the term “mirrored image” is not an identical image of an object but rather a contorted one that revels its opposing side. Simply hold an open book up to a mirror and look at its reflected image, and you will understand the true meaning of the “mirrored image”. Marijuana had been used long before Shakespeare’s day to aid in visions and epiphanies held by mystics and artists alike in which altered views and mirrored philosophies were brought to the light. In argument of Sonnet 34 it seems reasonable to argue that the “rotten smoke” in line four guilty of “hiding the bravery” reveals that the “base clouds” are the mirrored image of the purer smoke of truth and transparency expressed in the metaphor used in ‘Romeo and Juliet’. The fact that the bard uses repeat images and metaphors in both, such as “tears” and the play on the word “pearl” hinting to the sea, indicates a union in interpretive meaning. Furthermore the time in which both pieces were written suggests a further pertinence: ‘Romeo and Juliet’ was written in 1595 13 years after falling in love and marrying Anne Hathaway. Sonnet 34 was written 13 years after the completion of his play and at a time when he was carrying on rumored love affairs with several young men. If we are to assume from deciphering Shakespeare’s language and, knowing that he smoked marijuana, argue that his spiritual side was awakened when he picked up the quill, then one may also argue that the mysticism transcends to the plains of astrology and numerical significance by recognizing the chain of events and recreational pot use embedded within the number 13 and its timeline of forecasting love as a “layered”, complex puzzle. Finally, the overpowering contrast between the sonnet’s couplet and first 12 lines argues the Christian overtones in the word “ransom”—a popular theme in the artistic portrayal of Christian salvation and one that, as argued by Harold Bloom, has been heavily eroticized. So Does Marijuana Kill Brain Cells? Historians are well aware that cannabis sativa, the plant from which pot leafs originate, was heavily used in Elizabethan England for the manufacture of sails, clothing, paper, rope, and yes…it was smoked. 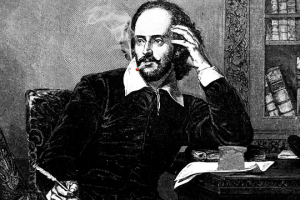 We also know that smoking pipes with enough marijuana residue layered atop the fragments proves that the use was often, and apparent that Shakespeare was a toker and a thinker. The next time someone wags their finger at you for smoking pot and chastises you saying that your brain cells will die but vindicates himself on good intentions, simply quote Shakespeare’s ‘The Tempest’ and demonstrate the false mirror image of truth in speech by saying, “Thine forward voice, now, is to speak well of thine friend; thine backward voice is to utter foul speeches and to detract”! 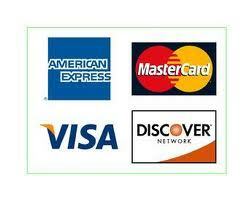 Buy your new Glass smoking pipe Today! and happy new year 2019.